We will return to Faith Bible Church Sunday, approx. 12pm, about the same time church lets out. 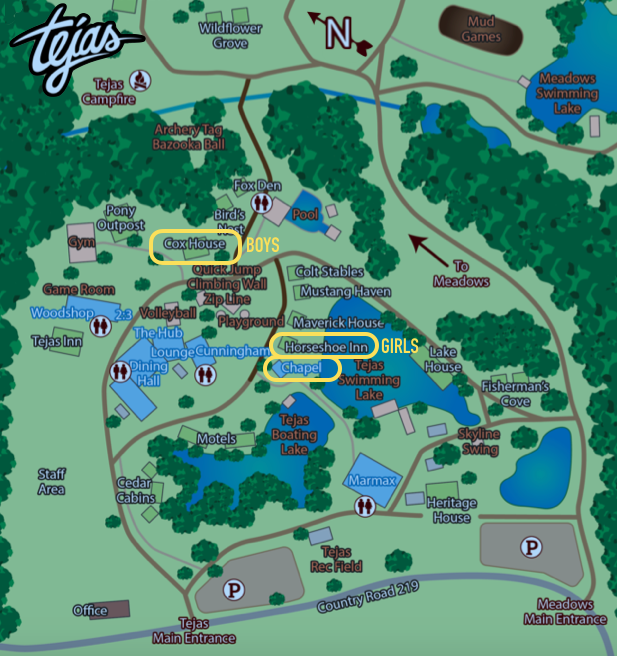 – phones/electronics ARE allowed at camp (as long as they are not a distraction from hearing and interaction). We will ask students to stay off electronics during meetings, small groups and after lights out. 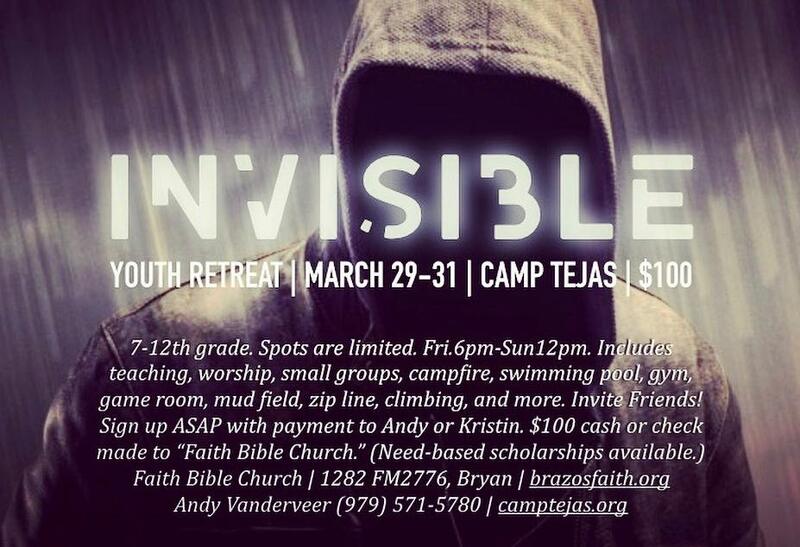 The retreat is called “INVISIBLE” because we’re studying the book of ESTHER, in which we don’t see the word “God” once. Yet His invisible hand moving behind the scenes is undeniable. Like today… we don’t see Jesus physically. But we can learn to look for Him at work behind the scenes in everything, as we pursue a relationship with Him. There is a lot of crazy drama in the book of Esther. Even when things look like they are going crazy, God is at work behind the scenes working out justice and bringing salvation in His timing. With the constant drama and injustice in our lives today, it is a reassuring truth that God is still in control, still caring for you, and still giving salvation in Jesus, even though we can’t “see” Him. Please don’t hesitate to text/call me with any questions at all! Andy (979) 571-5780.